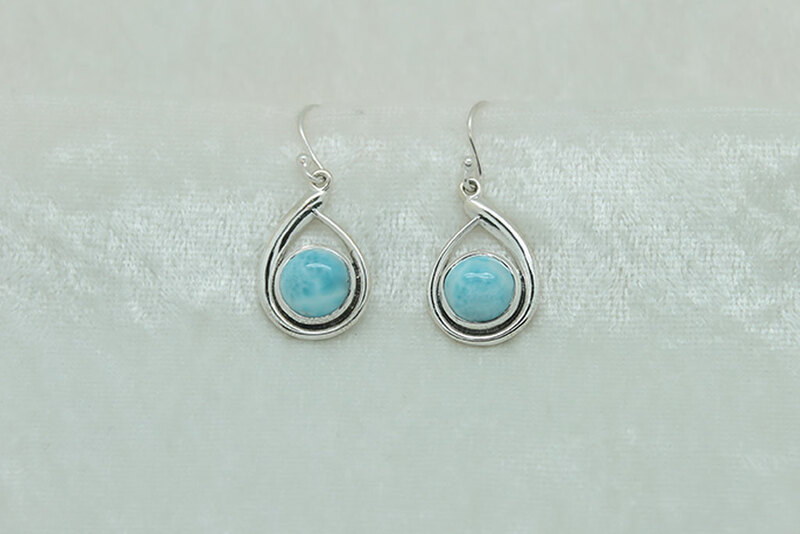 Larimar embodies the energy of both the Fire and Water elements from which it was created. 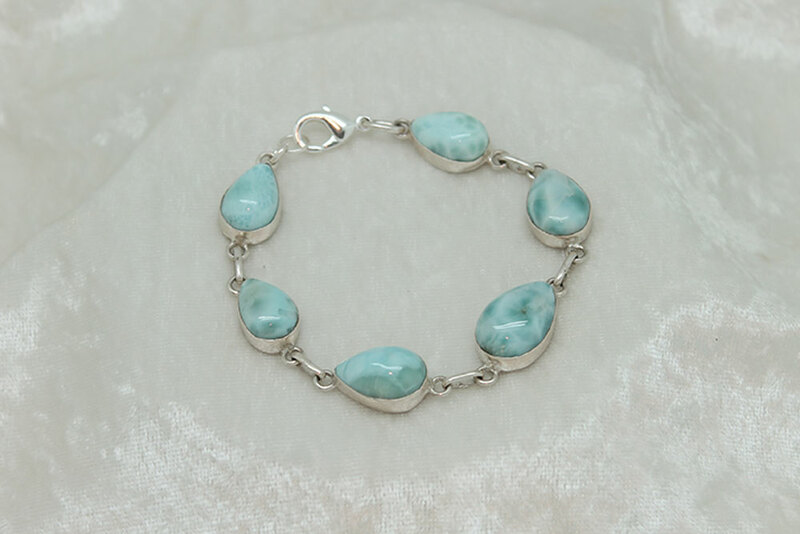 Larimar’s energy has a cooling and soothing effect. 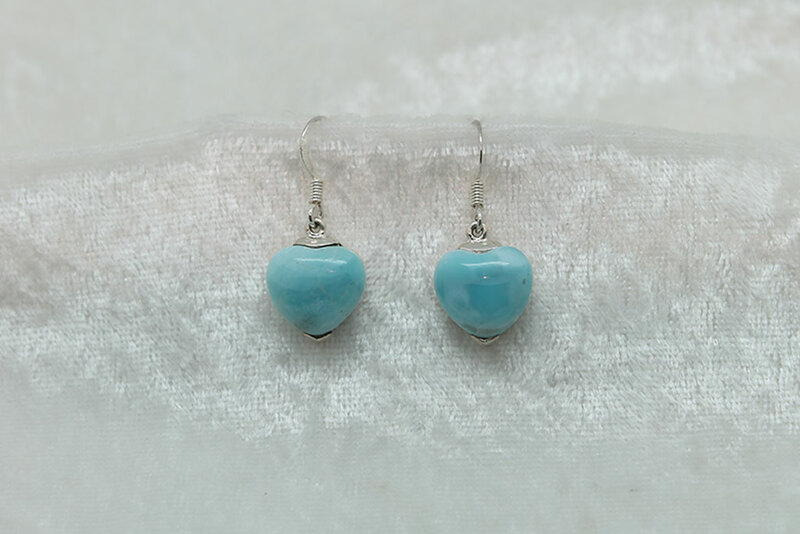 Larimar promotes a sense of confidence and well-being, tapping into inner knowledge and wisdom to allow one to manifest things most desired. 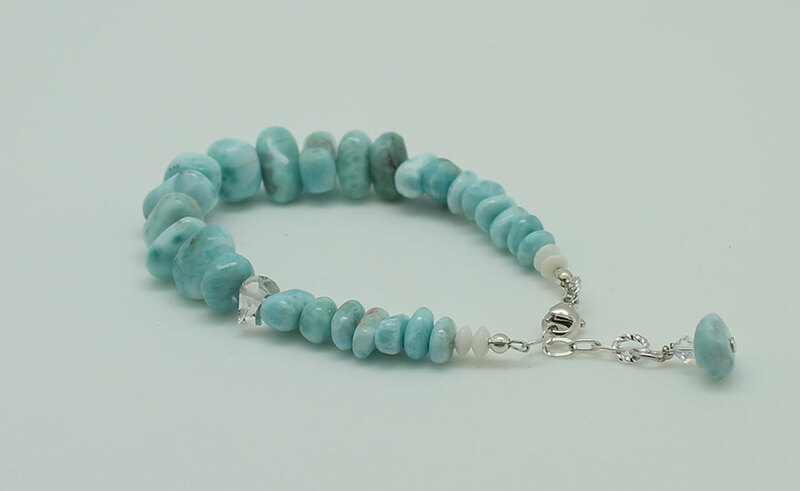 Larimar assists in identifying self-imposed limitations and self-sabotaging behavior, especially toward martyrdom, and encourages taking control. 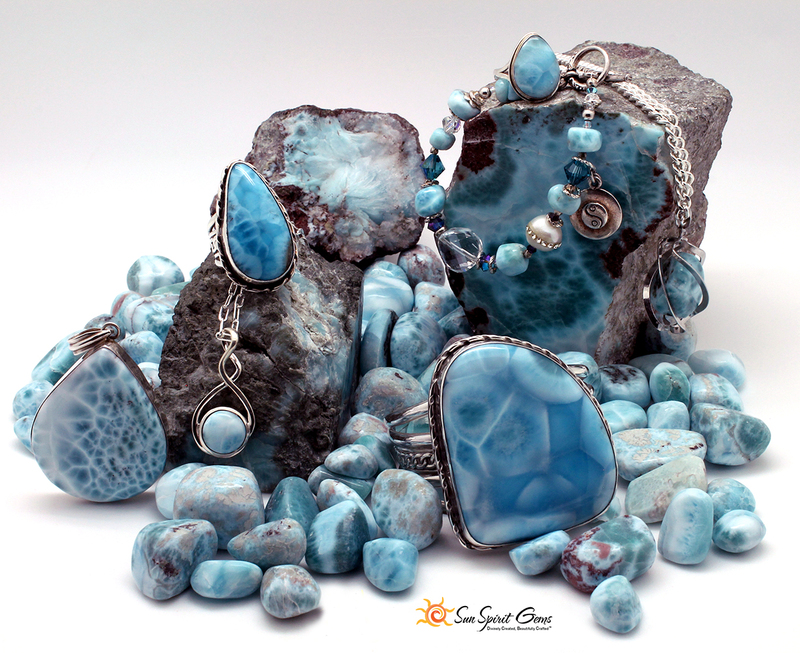 Larimar is Found Only in the Dominican Republic! 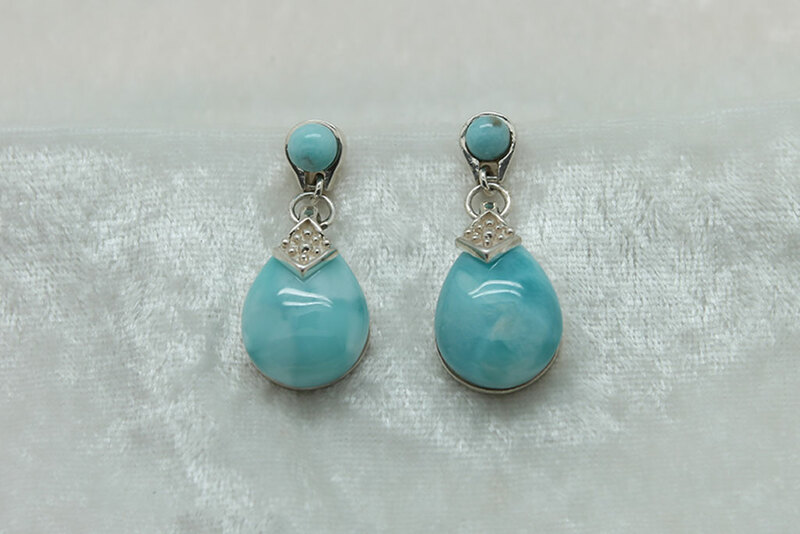 Larimar is also called “Stefilia’s Stone“. 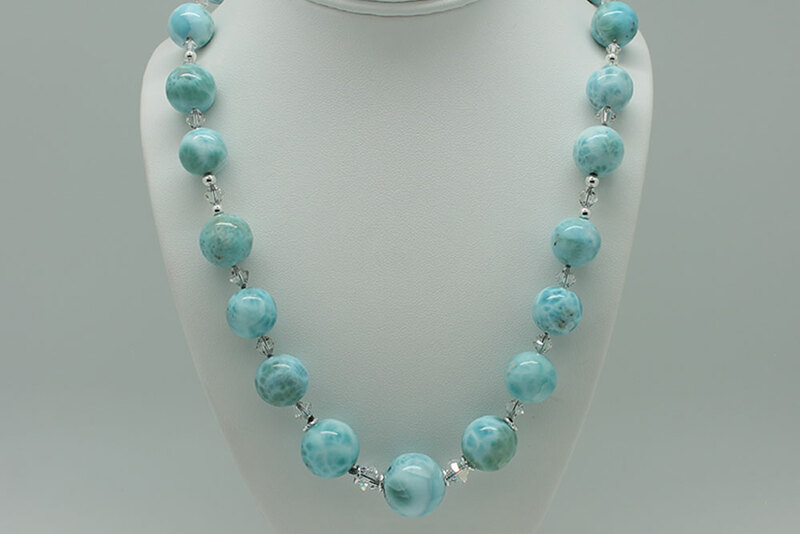 It’s a rare blue variety of the silicate mineral pectolite found only in the Dominican Republic, in the Caribbean. 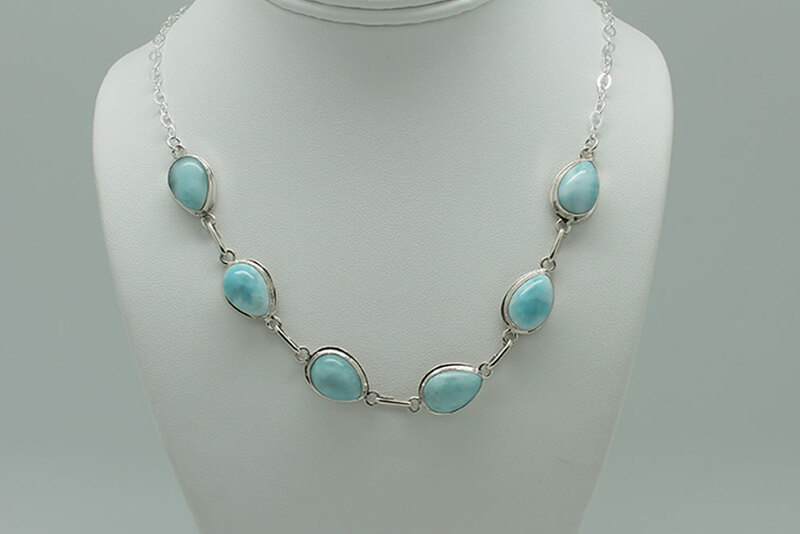 Larimar’s coloration varies from white, light-blue, green-blue to deep blue. 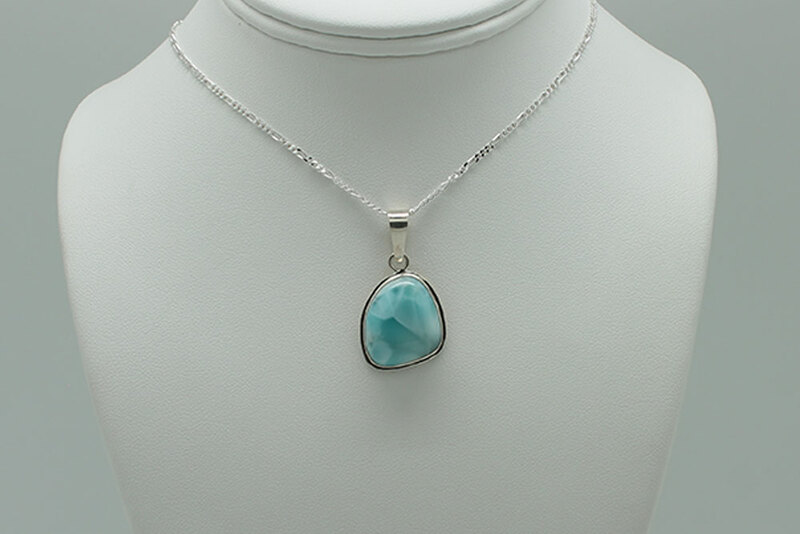 We Create Custom Larimar Jewelry… Tell Us What You’re Looking For! 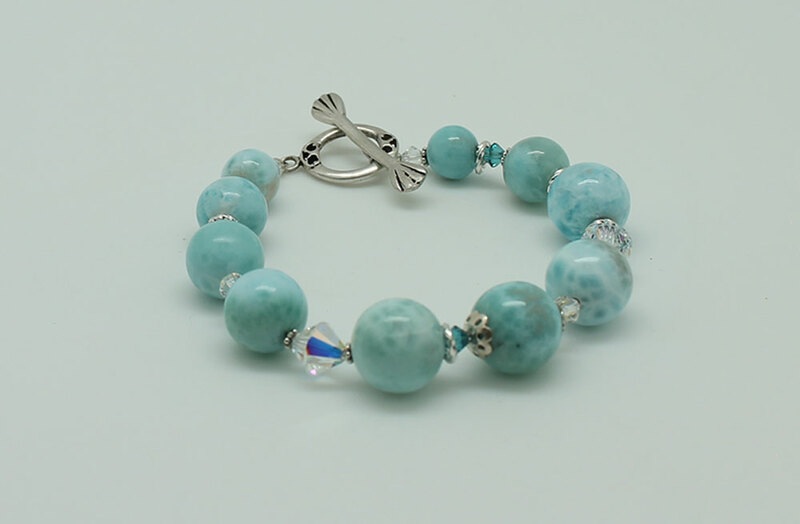 Requests for custom Larimar Jewelry orders. 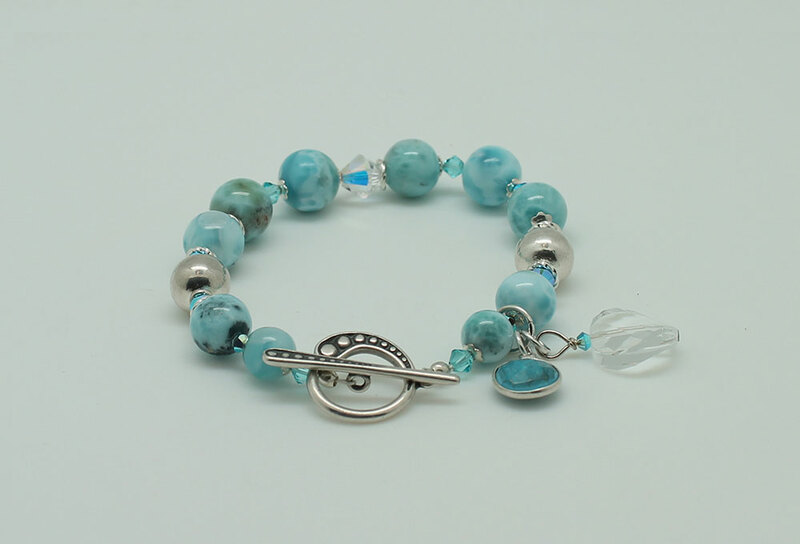 Please let us know what you’re looking for and one of our designers with reach out to you to discuss the details. 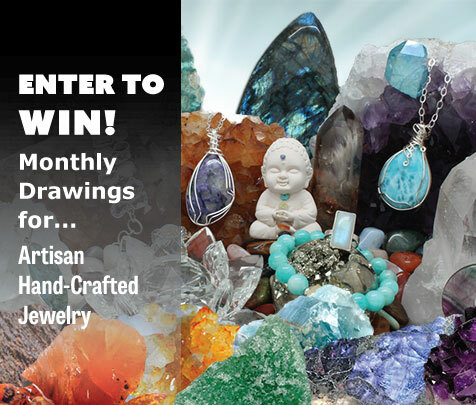 INFORMATION COMING SOON… PLEASE CHECK BACK.